Just did a revealing interview about the truth behind ghost towns, cash-sniffing border patrol dogs . . . and even a tarantula migration. 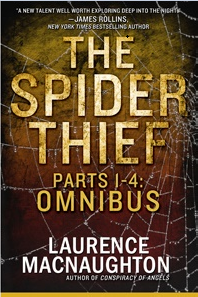 Check out my latest stop on the book tour for The Spider Thief, at the outstanding Omnimystery News, where editor Lance Wright presents the exclusive inside scoop on mystery books, games, TV shows, and film.